The spokesman for the Libyan Navy, Ayoub Qassim, has stated that Human Rights Watch (HRW) and other similar organizations are trying to deform the Libyan government and its coastguards. 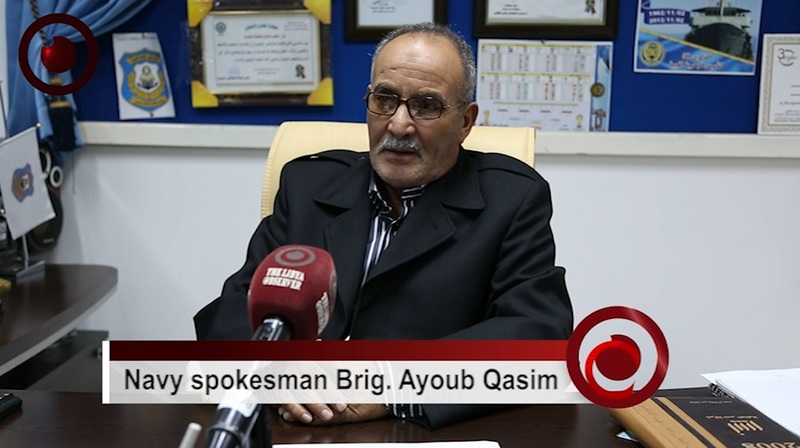 Speaking to a local TV channel, Qassim replied to accusations by HRW to the coastguards in Libya of having links with human traffickers, saying the coast guard is respected state institution and added that they will be more than glad to receive evidence from HRW for its accusations and bring those involved in such misconduct and crimes to justice. "HRW claims to be a human rights organization and that is why I ask why it has never talked about the violations and abuses that take place out of Libya where migrants are sold and bought and then trafficked." Qassim explained. He went on to say that HRW and others are driven by latent agendas that wish to see Libya country of settlement for the illegal migrants and then ask for UN forces under the pretext of protecting them, calling on authorities to kick out such NGOs that are staining the reputation of the coastguards. Qassim also said that Libyan waters are sovereign and all news about Italy entering the waters and reaching migrants is untrue. "We tasked two commercial ships to rescue hundreds of migrants who were left in the sea off central Libya days ago. We cooperate with Italy outside regional waters for the safety of the migrants." He added. HRW accused in a report days ago the Libyan coastguards of mistreating illegal migrants, saying some of the guards were militia members and are now naval personnel. It also criticized the European Union's support for the Libyan coastguards, saying it helped create violations against illegal migrants who get back to Libya against their will.